Written by Magnus Jepson on April 6, 2010 Product news. We have had a lot of people request some extra functionality in Canvas, and we promised to deliver on some of the requests. After a bit of a delay, we can now finally show you a couple cool new features that will add an extra layer to this popular theme. The two major updates in this version are the custom page templates. 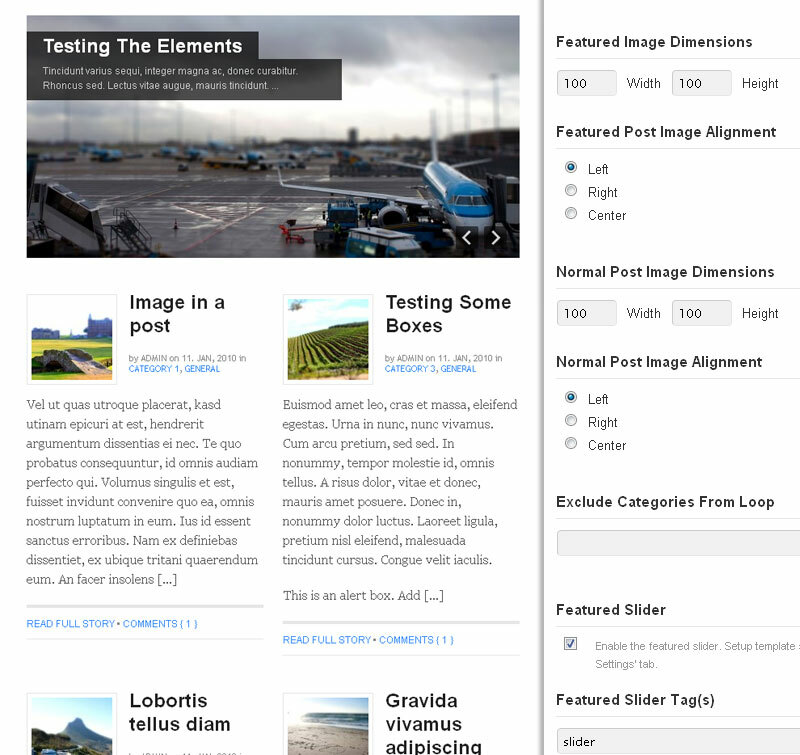 You can now add a magazine (view demo) or business (view demo) page template to your Canvas theme. We hope you enjoy this update, and let us know how we can improve this theme even more in the future! Important! After you have uploaded the new version, you need to make a new page and add the “Business” or “Magazine” page template first before the options for the specific template becomes available in your options panel. Read full instructions in our documentation. Wow, /REALLY/ great update! You guys rock! Nice. I’ve recently just loaded up canvas on my website that I want to use for helping people with design, newsletters and building online presence. Those updates are pretty awesome. I use thesis and I’ve learned how to do this type of stuff with the theme, but this makes it so easy. Beyond easy. So many people would benefit from this and the amazing woo-widgets that come with it too. Not sure I understand what you mean. You need to check the documentation on how to add the page templates. If you still can’t figure it out, please post in the forum and we’ll help you out. I can’t edit via the editor either. Will look into it! 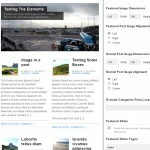 Found a bug in includes/theme-widgets.php that messed with the theme-editor in WP. Updated the theme with a fix now, so just download and replace 🙂 Thanks for spotting it! cannot see the themes to change (business, magazine…). Had installed v1 before.?? Not sure what you mean… If you are having trouble it’s best to post in our forum so we can better help you. Worth the wait! Can’t wait to explore V2. I bought Canvas 1.0 last week and was just thinking it would be nice to have a mag style template. I feel like I won the lottery with this upgrade. WOO! A links page template would be nice too. Great! E-mail us some info on what a links template would look like, and we might include it in a future update. I’ve recently heavily modified a canvas site (with a custom slider! ), should I be able to export the current settings and import them into version 2 alright ? I was pleased with Canvas 1, but now you’ve updated it with the magazine-style front page option and the slider, it’s nothing short of brilliant. If anyone wants to see how I’ve used it, it’s at http://www.templeofipad.com/. I’m particularly pleased with the clean design, the flexibility of the layout/typography and the speed. P.S. I see lots of SEO options in the latest framework. I have All in one SEO currently installed, so I will look at what the Woo framework can do as a replacement. Having looked at your SEO options and seen the output, I now don’t need any SEO plugins. You should make something of this – some other themes use their SEO as a big selling point. Will this be on the test MU site any time soon? Thanks! Ha. Thanks. Keep up the good work! 2.0.5 is the newest version! You need to add the page first and select Business or Magazine page template in Attributes. Options will then become visible. Thanks for clearing my doubts and ensuring I look down upon myself. Cheers man. Hey.. really a nice theme. hey ,how can i from 1.02 upgrade to 2.0.4?? Simply download the new version from your user dashboard. Canvas for EE in the works? Not quite yet, but hopefully in the near future. We always consider all new feature requests, whilst being careful not to bloat the theme. At this stage there are no to-do’s waiting to be added to Canvas. Hey there! This theme looks terrific. Can someone help me decide between Canvas, Thesis, Thematic, Carrington and other similar looking themes or what they call frameworks, eh? Sure, if you have any questions, feel free to contact us via the contact page.